We provide professional expertise with the design, instrumentation, programming, and installation tasks needed to interface Campbell Scientific (and other compatible) gear into the measurement and control system you want and need. Systems can range from simple monitoring to those with advanced control and reporting functions. 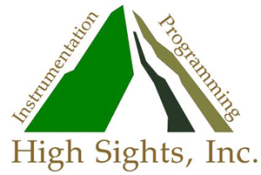 High Sights is a team of professional SCADA integrators and programmers that can assist you with the telemetry and operational control tasks that your system(s) must perform. 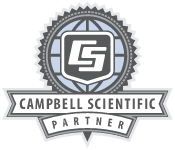 We cater primarily to Campbell Scientific customers, and we offer unlimited monitoring, control, and reporting for equipment supervised by their devices. If you need to track water levels, pressure, temperature, flow, etc., we can develop a system of control for that. Using dataloggers, we have the ability to make measurement parameters, such as these, act as primary control variables for properly configured systems. As a parameter changes, gates, pumps, or valves can be set to open/close, turn on/off, etc. If you would like our input, or would just like to bounce ideas around, we can give you a free consultation about your control system and help you design the system that will meet your application needs.